Bicycling is one of the top recreational activities that people enjoy. Communities are embracing this demand by converting rails to trails and adding bike routes throughout the nation. With cycling gaining momentum, bike tourism has become a new industry that has given new life to sleepy towns and urban cores. To attract these day-trippers, bike campers and gravel grinders, new facilities are popping up – trailheads offering public bike repair stands and air pumps, shelters hosting camping areas with bike parking and drinking fountains, and city park events supplying temporary bike racks. We can’t wait to get outside! 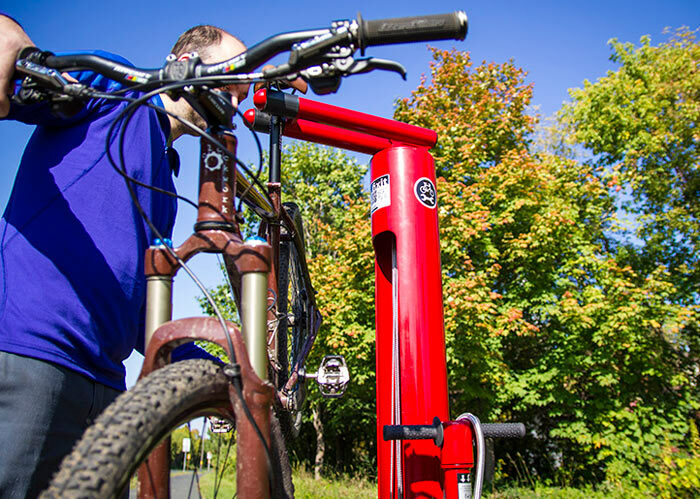 An increasing number of park systems are including more amenities at bike trail heads, such as wash stations and bike repair stands for keeping bikes in top shape. 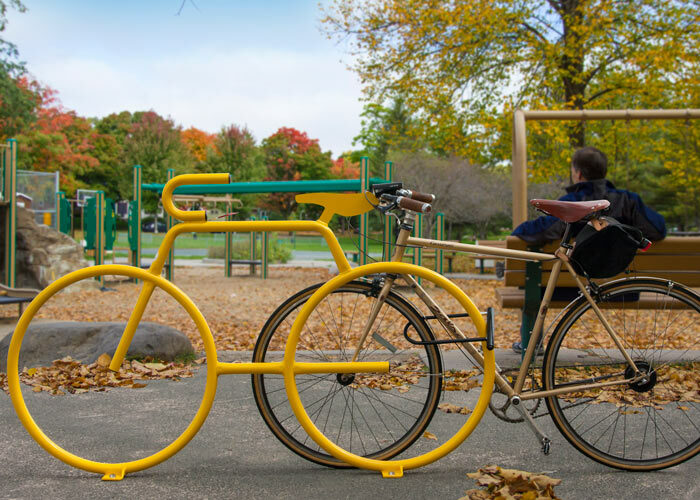 Providing secure and attractive bike parking sends a message that biking is a welcome and encouraged form of transportation in your community.